This is a sequel to Seraphina, one of my all time favorite fantasy novels. I can't wait! Oh very nice! I still need to read the first one! But I do have it! I haven't read Seraphina but by the sound of this one maybe I should! This is a must read for me!! 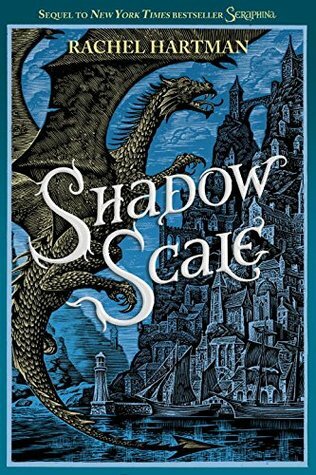 I loved Seraphina, and I'm really excited to see how this world is going to expand, especially with all the tensions between humans and dragons. Can't wait to get started!! Great pick! Looks fascinating! Thanks for sharing, and what an intriguing cover! I haven't read the first book but I'm loving the cover for the second.